The internet is full of fabulous facts about everything from current events to the history basket weaving. Because of this, as we research for our daily content on food trucks, food carts and street food, we stumble upon some items of knowledge that we just did not know. For today’s Did You Know we will look at Spinach fun facts. Spinach Fun Facts: Spinach is a cool season crop and belongs to the goose foot family along with Swiss chard and beets. It is low in calories, and is a good source of vitamin C, vitamin A, and minerals, especially iron. 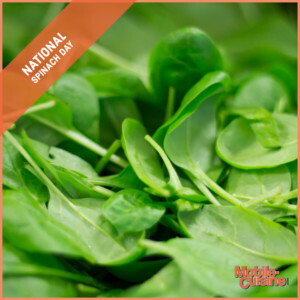 March 26th is National Spinach Day. Spinach is best eaten fresh. It loses nutritional properties with each passing day. Although refrigeration slows the deterioration, half of the major nutrients are lost by the eighth day after harvest. (For long term storage, freeze while fresh.) When fresh, it has crisp leaves. As they deteriorate, the leaves turn limp. “Florentine” is a common part of names of recipes where spinach is a significant ingredient. Florence in Italy was the home town of Catherine de Medici, a lover of spinach, who married the King of France in the 16th century. In the 1930’s U.S. spinach growers credited Popeye with a 33% increase in domestic spinach consumption – a welcome boost to an industry during the depression era. The spinach growing town of Crystal City, Texas, erected a statue of Popeye in 1937. ‘Birds Eye’ was the first company to advertise frozen spinach. It did so in “Life” magazine in 1949. California is today the US’s #1 grower/supplier of spinach, accounting for almost three quarters (3/4) of national production. 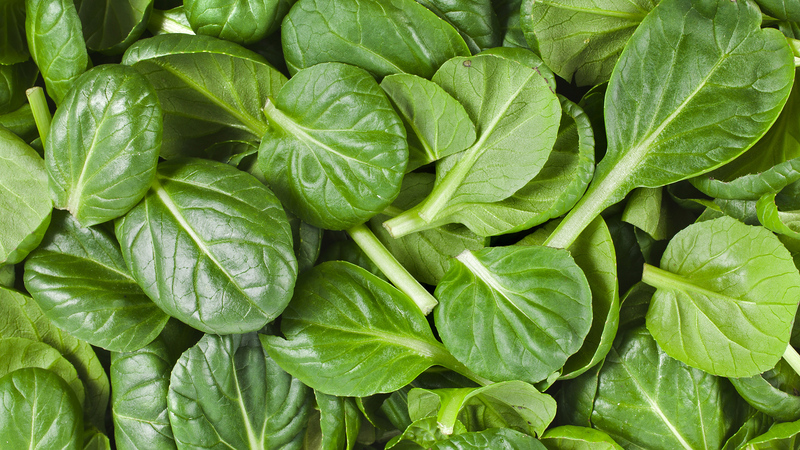 Other spinach-growing states include Arizona, New Jersey, Texas, Colorado, Maryland and Arkansas. Alma, Arkansas (population approx. 4,700), holds an annual spinach festival each April, organized by the Alma Chamber of Commerce. Alma proclaims itself to be the “spinach capital of the world”, a title also claimed by Crystal City, Texas. Alma is the home of “Allen Canning Company” which cans and ships spinach. In 2005, the national yield of commercial spinach was approximately 350,000 tons and is growing annually. In March 2005, Bon Appetit magazine’s annual survey showed that 56% of respondents said that spinach was their favorite vegetable. Please feel free to let us know if we may have missed some spinach fun facts in the comment section below. We always love to add to these lists. If we can verify that the facts is just that, a fact, we will give the reader credit in the article.